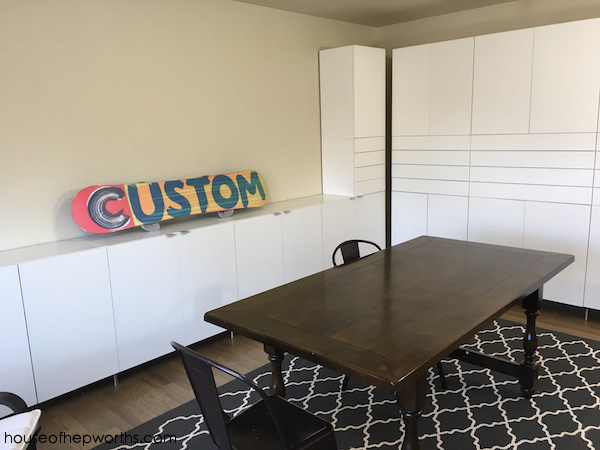 Turning a Formal Living into a BOARD GAME ROOM! The most anticipated post of the year! Ha ha just kidding. But it’s an exciting day none the less. 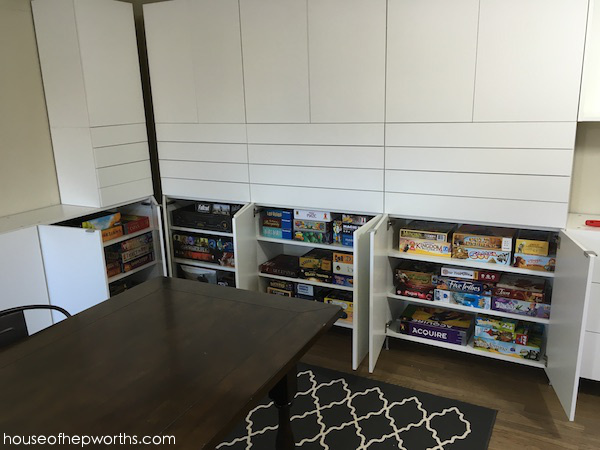 Today I’m FINALLY, after months of alluding to, sharing our Board Game Room renovation. We turned our Formal Living Room into a designated Board Game Room where we come together with friends and family, multiple times a week, to play board games. Yes, we are huge board game nerds. 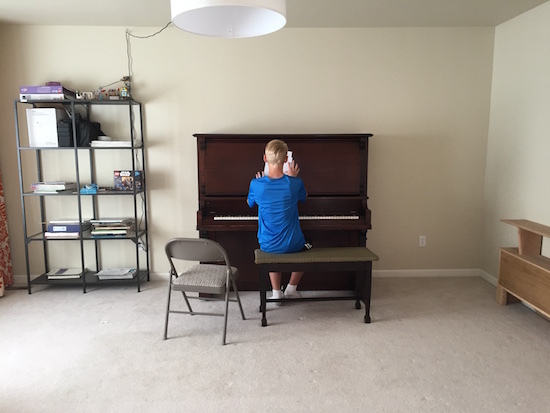 We’ve always loved playing games so a designated room seemed appropriate for our family. Ben loves board games so much he even has a board game youtube channel (which is pretty great in my opinion!). It’s called Snow Board Gamer because he loves to snowboard and play board games (see what we did there!). I go into excruciating detail about that process in this post. Check it out for all the details. 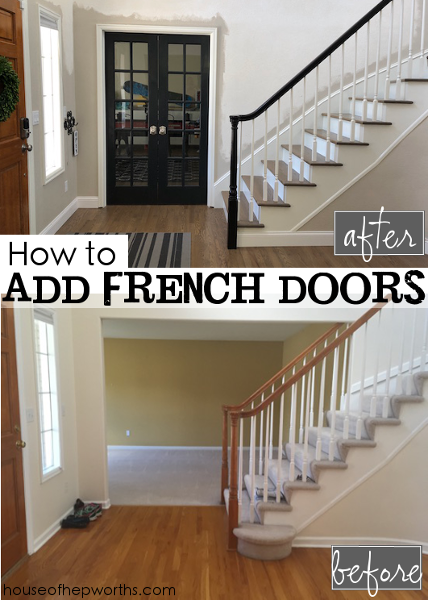 Once the stairs were rebuilt and the wall was in place, we drywalled everything and added the french doors in this post. Again, lots of info in that post so make sure to check it out. Finally, build day is here! 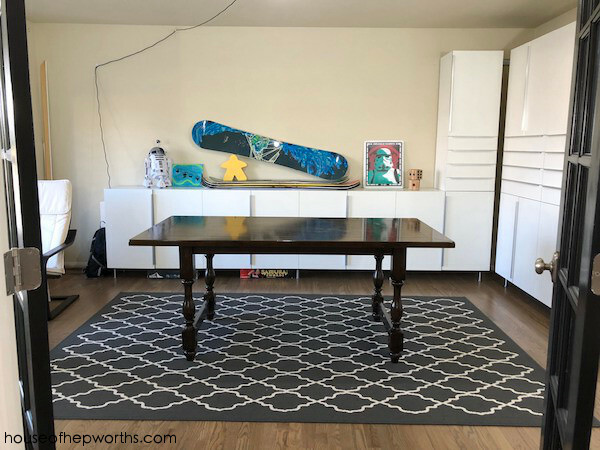 I placed our IKEA cabinet order and purchased a large rug for the room (it’s from ikea). We wanted the rug in place to protect our new floors from all the cabinet building and install that was about to take place. 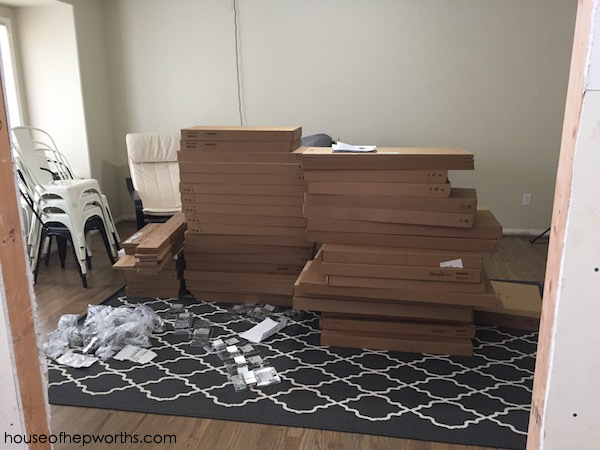 Here are all the cabinets waiting patiently to be assembled. 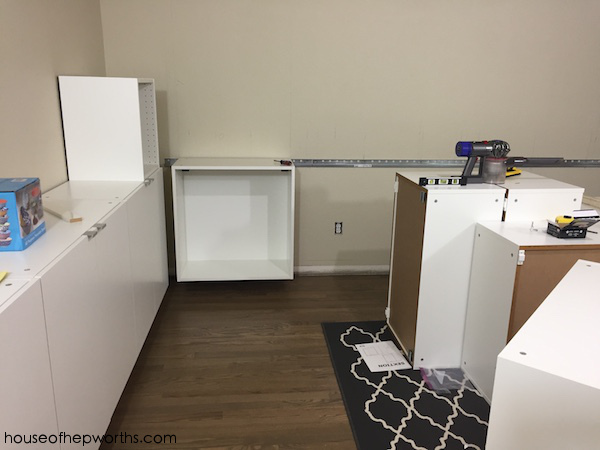 We had them delivered a few days after our kitchen was delivered, so as soon as the kitchen cabinets were hung Ben hightailed it to his new board game room and started assembling those cabinets while I continued to work on our kitchen remodel. Travis and Ben did a great job assembling the boxes and putting everything together. During breaks from the kitchen I helped Ben hang the cabinets on the wall. 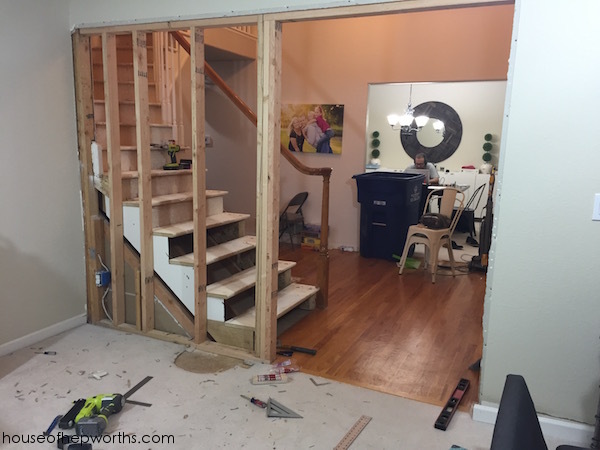 This room’s walls were a lot more wavy and not straight so hanging the rails took some patience, but we made it work. 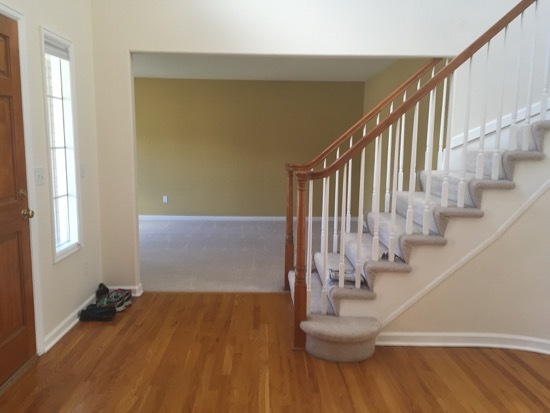 On the right wall we did floor to ceiling cabinets with a middle section of drawers for smaller games and card games. 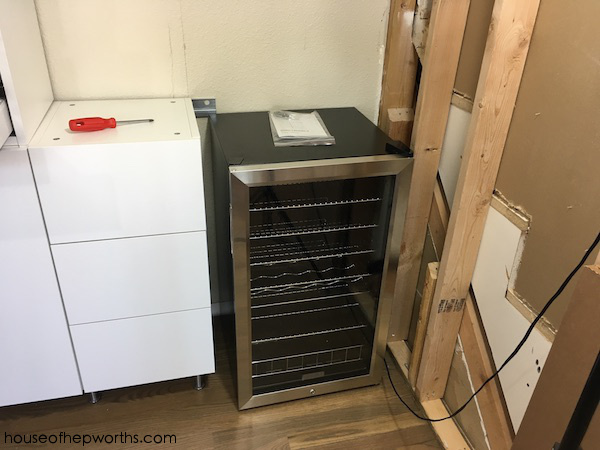 On the far right of this same wall we are incorporating a dry-bar with a drink fridge and a cabinet for some beer glasses and 3 drawers for things like bottle openers. Along the center wall (the wall you look at when you glance into the room) we opted for only base cabinets and are planning on some floating shelves above. 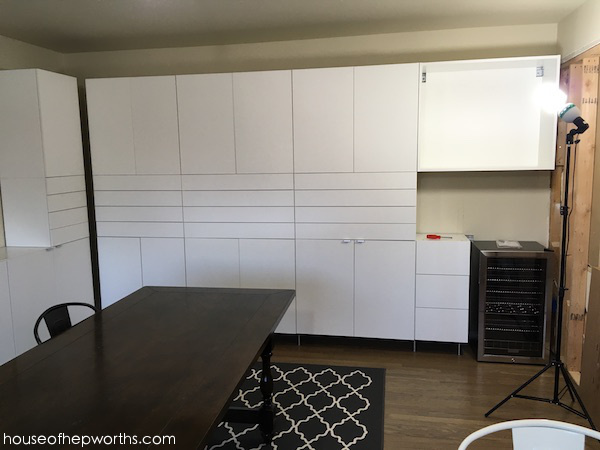 These base cabinets will also have a wooden countertop on top when all is said and done. Here’s another view of the right wall. 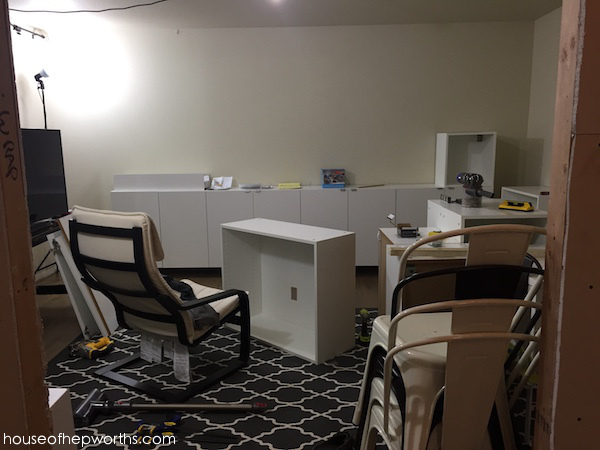 You can see that the cabinets are hung but the filler and finishing pieces are not installed yet. 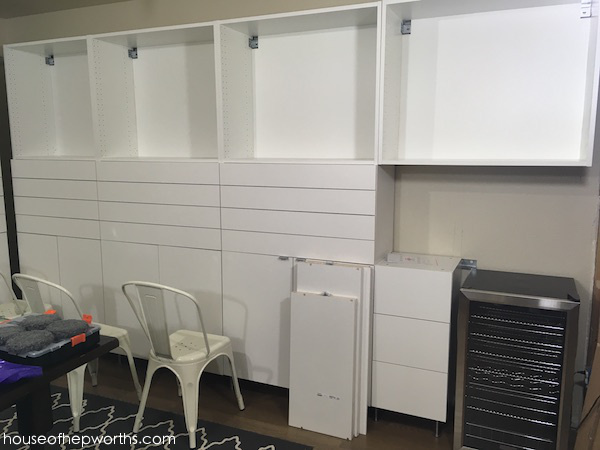 We chose to do all 15″ deep cabinets, even the base ones. Also, the door fronts (for now) are the cheapest ones you can buy at IKEA – Haggeby and are super cheap, around $5 a door. 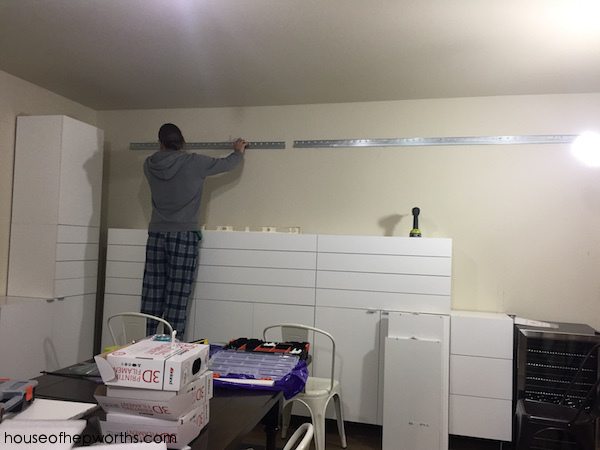 Ben couldn’t wait for the room to be finished, he had to start stocking the cabinets as soon as they were on the wall! With some of his huge collection in place you can really see how this room is going to function. All of the floor to ceiling cabinets have a center row of drawers. 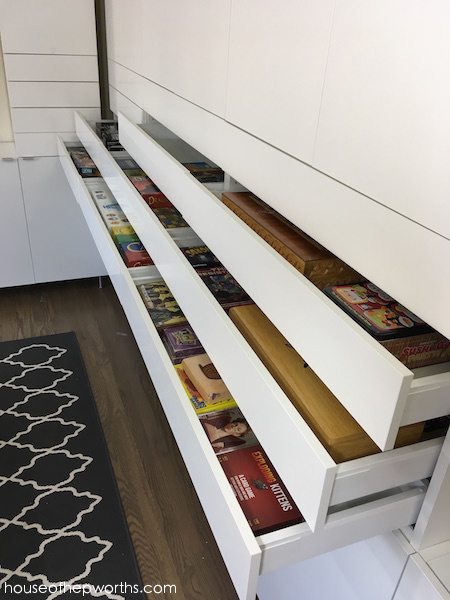 These are stocked with smaller games and all our card games. Here’s a close-up of our new drink fridge. We found one that wasn’t as deep as a usual fridge because our base cabinets are only 15″ deep. Also this fridge cools to the low 30s which gets our drinks super cold. As you can see we are still working on the drywall. 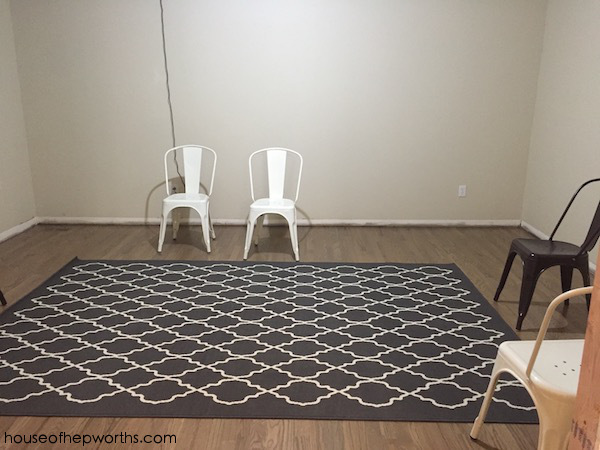 This room is coming together in an unconventional way. Here’s a sneak peek of what the room currently looks like today. I’m breaking these posts up so I’m not throwing too much info at you at once. (This post is already too long!) In the next post about our Board Game Room I’m going to talk about the hardware. We enjoy a new genre of board games that are more “European Style” such as Catan or Ticket to Ride as opposed to games like Monopoly and Candy Land. 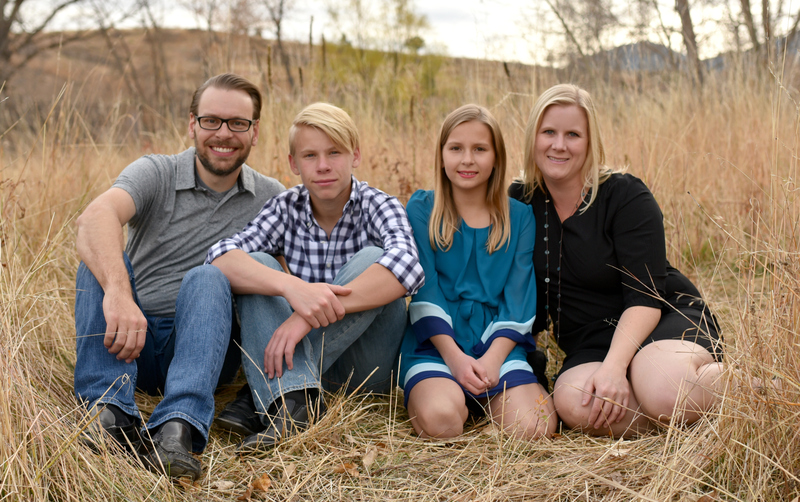 Here are some of our top favorites. It was hard to narrow down because we have so many favorites! Check out Ben’s YouTube Channel, Snow Board Gamer, to learn more about these board games. He puts out a weekly video where he talks about all the games we played that week. 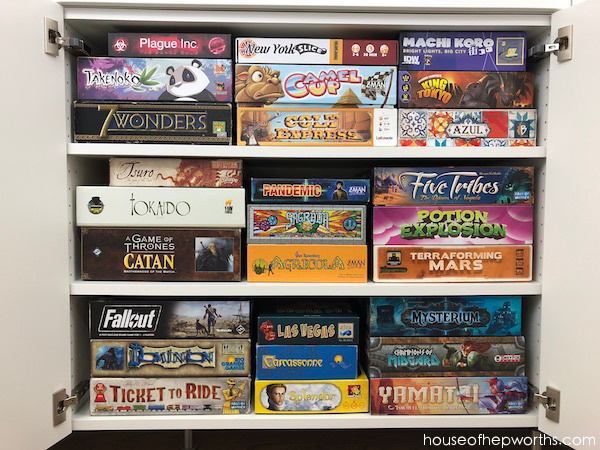 Like I said, we love board games, so this list is just a few of our favorites. If you have any questions about any games, please ask! Ben has almost 200 games in his collection! This looks fantastic! So glad you are sharing this. Hm, what are the chances your husband was at Haven with a Meeple on his laptop? Wow! this looks fantastic! thanks ever so much for sharing. 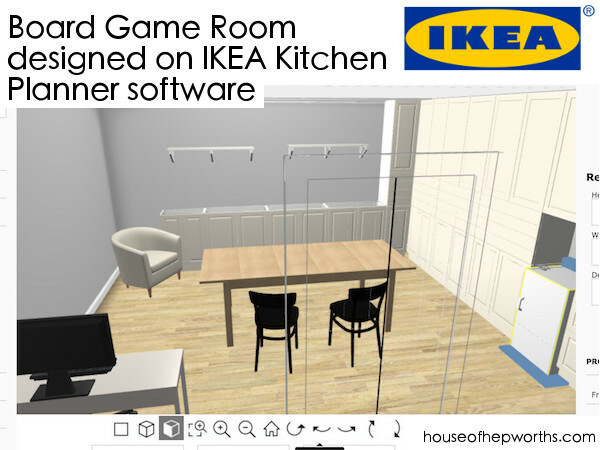 I have designed and created a number of games rooms over the years for people. This has either been to facilitate pool tables, snooker tables or table top games. 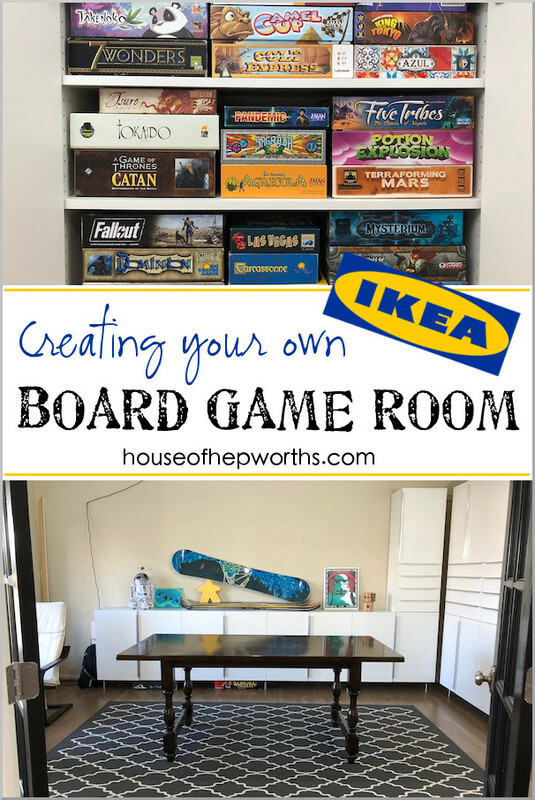 I think a board game room is such a neat idea 🙂 I would much rather encourage families to play these together rather than video games.